Southern candied sweet potatoes are a traditional southern side dish that’s a holiday and potluck must. Made with just three simple ingredients, these candied sweet potatoes couldn’t be any easier or more delicious! 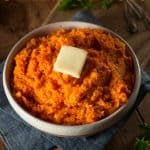 These southern sweet potatoes are the perfect side dish for Thanksgiving but if you are like me then you like these sugary potatoes any time of the year. So yum! Peel potatoes and chop in slices, keep them in cold water while peeling otherwise they will turn brown on you. Boil potatoes in skillet with enough water to cover all of the potatoes. Drain water, leaving about 2 tablespoons of water left in the pan. 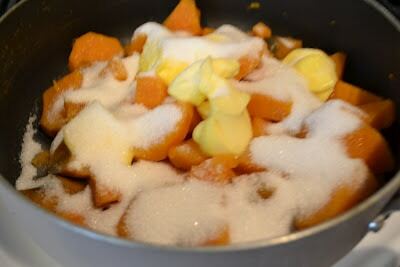 Melt a stick of butter in the potatoes then add in 1 cup of sugar. Let the syrup get thick. I added the sugar before the butter was melted just for picture purposes but I wouldn’t recommend it. Let the butter melt first. You can keep these southern sweet potatoes chunky or mash them together. 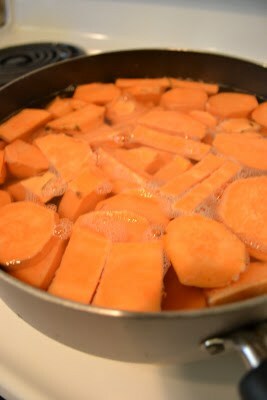 Either way, the result is some not so good for you but very, very yummy in my tummy sweet potatoes. This is my aunt’s recipe. 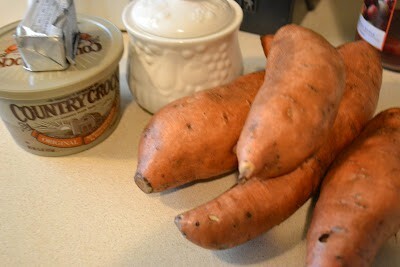 She cooks these sweet potatoes for Thanksgiving and it is definitely one thing I look forward to every single year. Want to print this recipe? Southern sweet potatoes are a traditional southern side dish that's a holiday and potluck must. Made with just three simple ingredients, these candied sweet potatoes couldn’t be any easier or more delicious! Easy peach cobbler, just like your grandmother used to make. Easy Twice Baked Potato Recipe: In half the time! 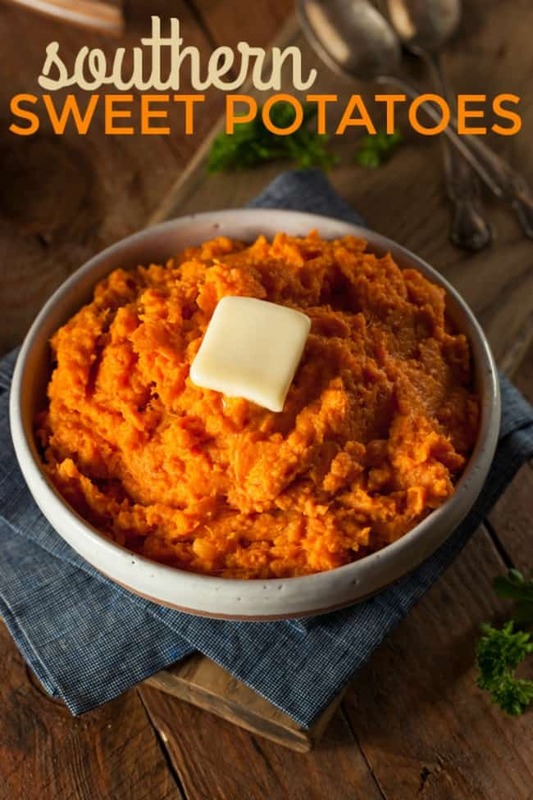 I love sweet potatoes too. Your roasted way is probably much better for you than my stick of butter and a cup of sugar. haha! mmm I LOVE sweet potatoes! thanks for the recipe 🙂 I found your blog via the blog hop event and I am stopping by to say hello! please check out my blog as well and follow if you enjoy my posts!